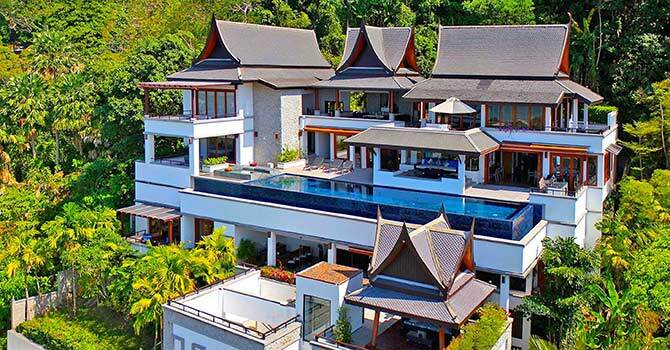 Villa Yang Som is a huge 6-floor hillside villa with panoramic views of the sea and beaches along the west coast of Phuket, along with the lush mountains and valleys inland. 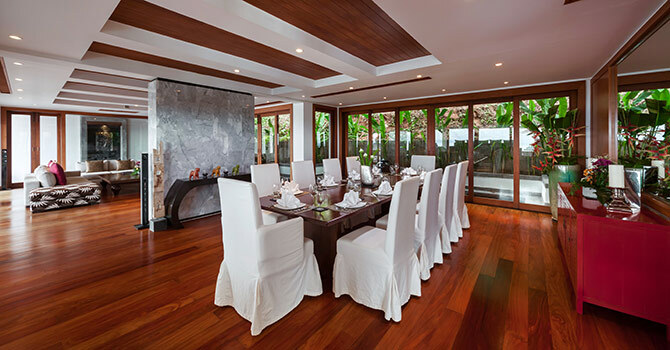 Its 5 Thai-style bedrooms can host up to 10 guests, and its spacious common areas offer activities for all occasions. Villa Yang Som features a long bar, an 18-meter infinity pool and hot tub. Nature lovers will enjoy the open-air stone terraces and dining sala, while those looking for luxury can while away the hours in the massage pavilion. With calming Buddhist decorations, soft and soothing furniture and Thai staff on hand to offer excellent cuisine and other services, Villa YangSom is an ideal destination for all. 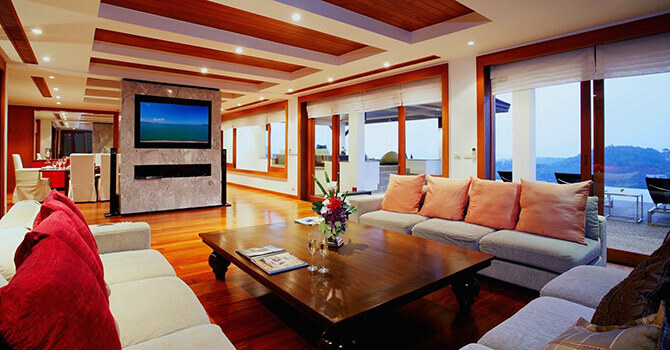 The villa’s location in Surin Beach is both peaceful and convenient. 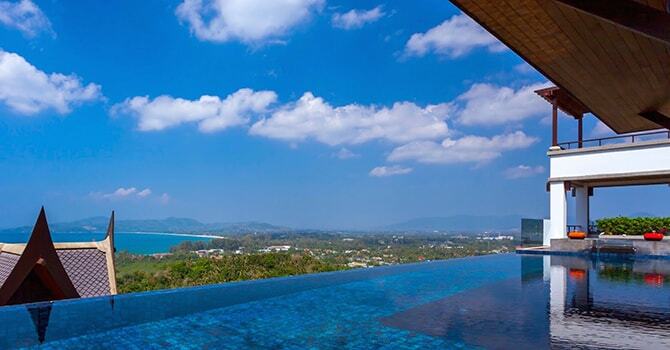 The drive to the beach takes just minutes, while Phuket Town is around 40 minutes away. Each of the villa’s maximum of five bedrooms are beautifully decorated, with traditional accents and mesmerising views. The master suite features a deluxe king-sized bed, along with an ensuite complete with a bathtub and outdoor jacuzzi. Two further bedrooms have king-sized beds and ensuite bathrooms with bathtubs, while the fourth enjoys a king-size bed and outdoor jacuzzi. The fifth room offers flexibility as it can be configured as either a king-size bed, or four single beds. It also boasts its own ensuite bathroom for privacy and convenience. "As beautiful as pictured - Awesome staff"
From our first minute to the last, our stay was incredible. We were a group of 6 women and my teen daughter. The food was delicious and the staff was very informative and helpful. The views were spectacular!! Overall, the villa is amazing and the staff extremely attentive, headed by the wonderful Auan.